Syria’s army seized the rebel-held town of Rankus on Wednesday, state media reported, citing a military source, as the government extends its control over the strategic Qalamun region which borders Lebanon. “Units of the Syrian army have now accomplished their operation in the Rankus area and restored security and stability after eliminating a large number of terrorists,” state media said. 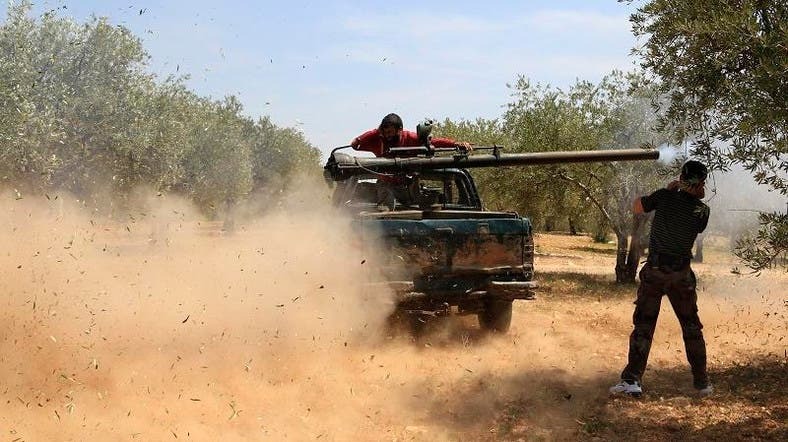 The Observatory said that 28 rebels had been killed in the Qalamun area as well as in Eastern Ghouta, in the Damascus province. Rankus is about 45 kilometers north of Damascus and was home to 20,000 people before the conflict in Syria began in March 2011, Agence France-Presse reported. Syrian army forces, backed by militiamen and Lebanon’s Shiite Hezbollah, have captured most of the Qalamun region, which lies along the border with Lebanon. Last month, government forces dealt a major blow to the opposition by seizing its last key bastion in the Qalamun region, the town of Yabrud. The rebels have seen their supply lines across the border with Lebanon largely severed due to their losing control of key towns.